Set off on an adventure through time with DAY DREAMIN' DAVEY. Go into the past to challenge the Cyclops of ancient Greece. Visit Merlin the Magician to learn a variety of spells. When you have gotten through all of the historical areas, prepare for the final showdown at the OK Corral. However, Davey will try to solve of history's problems without resorting to violence. 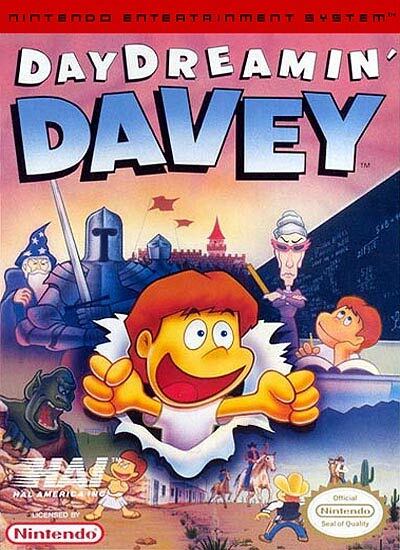 Keep a tight grip on the hall pass as you explore history in DAY DREAMIN' DAVEY.